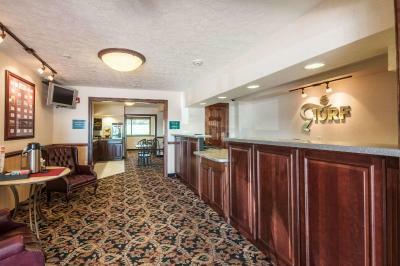 Lock in a great price for Rodeway Inn and Suites – rated 8.8 by recent guests! Breakfast is fair. The location is good for the casino. I like visiting W. Virginia, and this motel is most convenient. The beds were very comfortable. The morning breakfast was wonderful. Everything was fantastic. 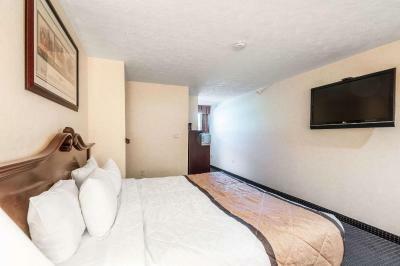 The room was super comfortable and everything was as advertised and even better in most cases. The bed was firm but not too firm. The temperature was easy to adjust. The TV was very large and there were more than a hundred channels to choose from which is nice. The internet is very fast and you do not need a password to get on. It is also very close to the casino and I like the fact that they have a shuttle that runs 24 hours a day. I will be returning in the future. Clean, large tv. Large room. A real value for the price. Lovely people who care about their customers. They even remembered which room i like snf assigned it to me. Shuttle to casino. Location to the Casino and that it was a Casino shuttle stop location. Also, while it was not the best ever, it was nice that breakfast was an amenity. Clean, comfy, and the front desk guy even remembered me the next morning. Great people. Everything was excellent. The staff was friendly and professional. The room and all surroundings were extra clean. We have stayed in many hotels & motels and I would rate yours at 100% satisfactory. Thank you for letting us stay there. Rodeway Inn and Suites This rating is a reflection of how the property compares to the industry standard when it comes to price, facilities and services available. It's based on a self-evaluation by the property. Use this rating to help choose your stay! 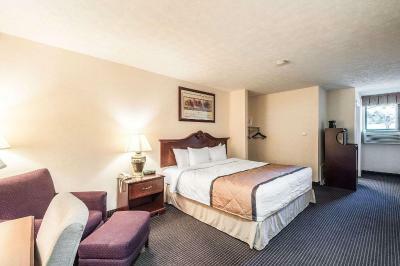 Rodeway Inn and Suites has air-conditioned rooms in Charles Town. 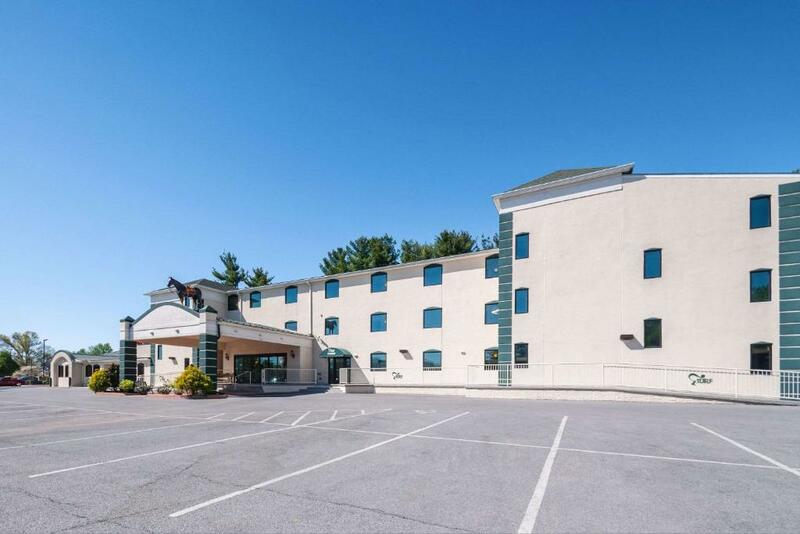 This 2-star hotel offers free shuttle service and a 24-hour front desk. 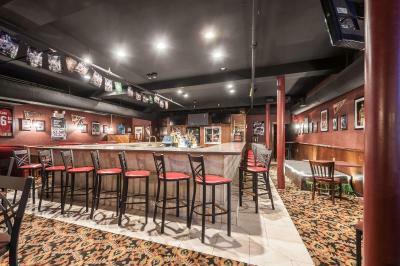 The property provides karaoke and an ATM. 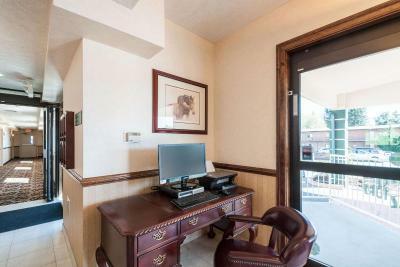 All guest rooms are equipped with a microwave, fridge, a coffee machine, a bath, free toiletries and a desk. The private bathroom is equipped with a shower and a hair dryer. 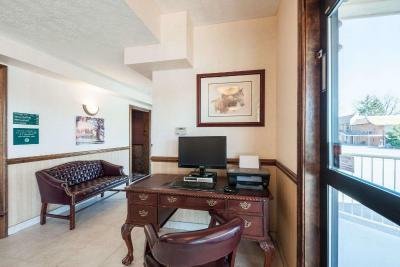 At the hotel all rooms include a flat-screen TV with cable channels. 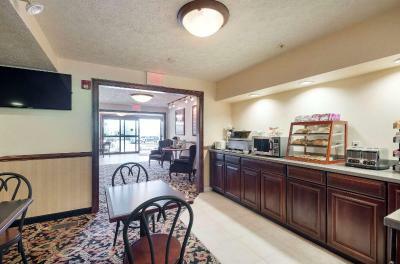 Continental and buffet breakfast options are available each morning at Rodeway Inn and Suites. 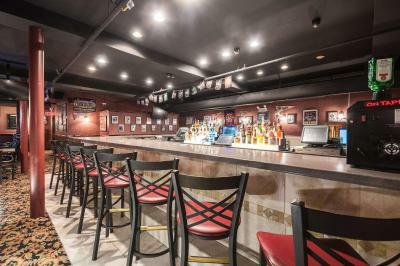 Guests can dine in the in-house restaurant, which specializes in Mediterranean cuisine. 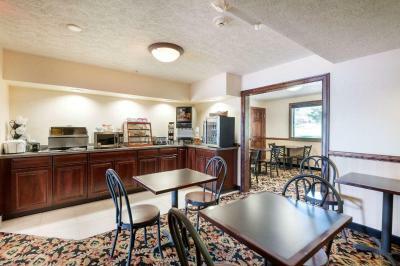 The accommodation also provides a business center and guests can check the newspapers at Rodeway Inn and Suites. Winchester is 23 miles from the hotel. 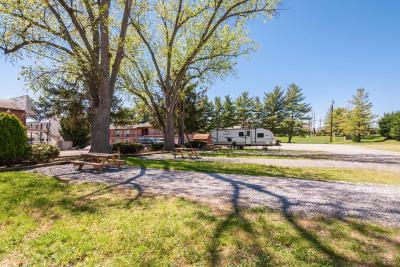 The nearest airport is Frederick Municipal Airport, 30 miles from Rodeway Inn and Suites. 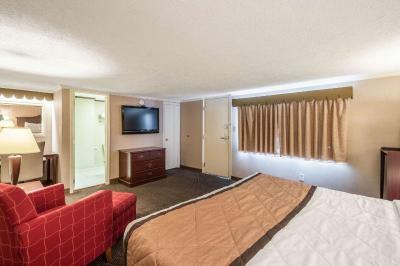 When would you like to stay at Rodeway Inn and Suites? This room features a seating area and a refrigerator. 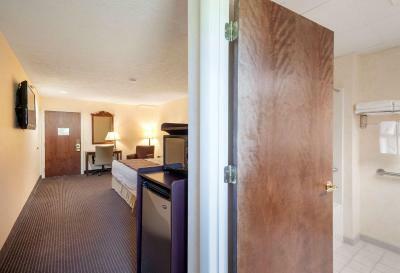 This room features a refrigerator. 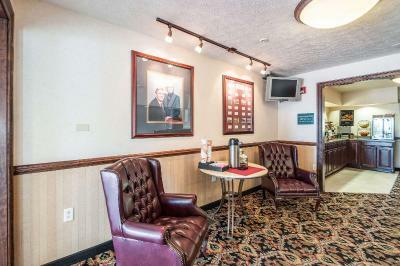 The Rodeway Inn & Suites® hotel in Charles Town, WV near Hollywood Casino at Charles Town Races is just what you are looking for when all you need is a solid deal on a simple stay. 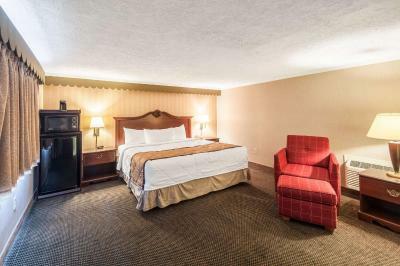 Our pet-friendly Charles Town hotel is only one hour from Washington, D.C. and Baltimore. We offer free casino shuttle service, as well as amenities like: Free continental breakfast Free WiFi Free newspaper Monday through Friday Free parking Business center We will provide a fresh, clean room for a good night’s sleep; a nice, hot shower to wake you up and a good cup of coffee to jump start your day, as well as amenities like refrigerators, microwaves, hair dryers, coffee makers and 42-inch TVs. Some rooms feature living rooms and sofa sleepers. 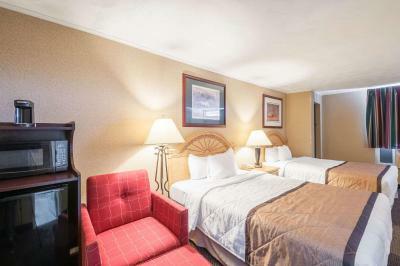 A good night and great savings awaits at the Rodeway Inn & Suites. 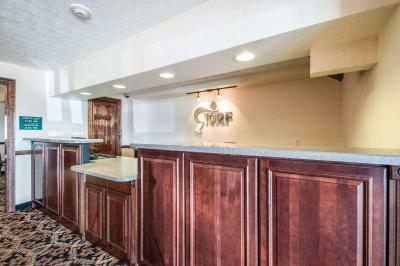 Charles Town hotels like ours help you get the rest you need for wherever travel takes you. Book now! 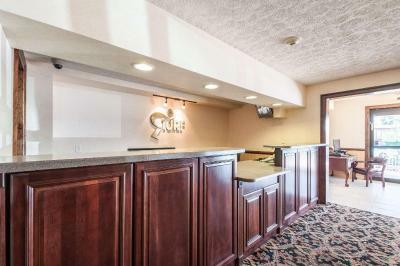 House Rules Rodeway Inn and Suites takes special requests – add in the next step! Rodeway Inn and Suites accepts these cards and reserves the right to temporarily hold an amount prior to arrival. 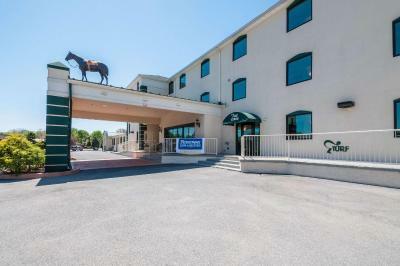 Please inform Rodeway Inn and Suites of your expected arrival time in advance. You can use the Special Requests box when booking, or contact the property directly using the contact details in your confirmation. Everything! Comfy, convenient and great staff! WiFi wasn't working very well. Kept getting no service. Everything was great except the hair dryer was broken (Room 102). Nice room, very friendly staff, including Kelly, Hope and Michelle. Will definitely stay here again. And very much appreciate the maintenance guy to help Clean off the snow on my car in the morning. Will recommend to all! The rooms was nice and clean. Room was clean.close to casino.